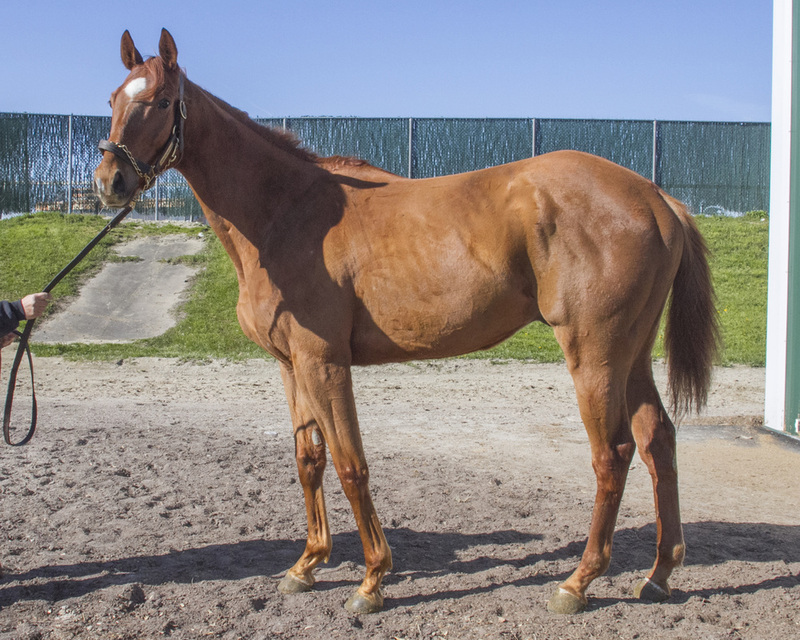 Information about horse: Kiss is a 2012 gelding that retired from the track in 2016 with a rear sesamoid injury that has been fully rehabilitated. Originally adopted through our program in 2017 he has been consistently ridden at W/T/C and over small cross rails. While in our program we hacked him out on our trails. Kiss came back into our program through no fault of his own, however his adopter wanted to make sure he had the best placement possible. Kiss has a in your pocket personality and is best suited for a confident teen or adult intermediate rider. He is not mean or ugly in any way but does draw confidence from his rider. He does best when he has a consistent job and loves the attention. The below are some unedited clips of Kiss. He will excel with a quiet confident rider. He gets better with every ride. He is learning to stretch and reach into the bridle. I love the personality of this horse. There are several video clips in the embedded facebook post of his trot and canter.